iNautia.com offers you the widest range of boat rentals in the market with a variety of destinations so you can enjoy a different type of holiday. 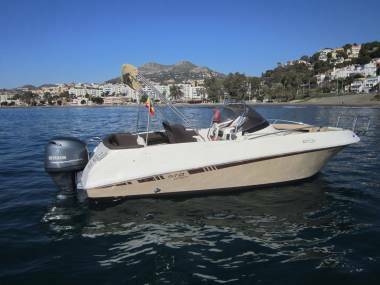 153 speedboats to rent, with or without a skipper. 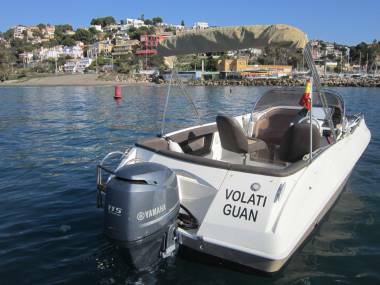 Select the start date and the duration of the rental in the search box, and choose the boat that best suits your needs. Sealine 38 11.28 m from Length 8 m from Places. Greenline 33 10 m from Length 8 m from Places. WALLY TENDER 45 14 m from Length 12 m from Places. GALIA 570 5.7 m from Length 6 m from Places. Sunseeker Superhawk 50 15.29 m from Length 13 m from Places. STARCRAFT 6.2 m from Length 6 m from Places. RINKER 192 5.86 m from Length 6 m from Places. PACIFIC CRAFT 625 6.1 m from Length 7 m from Places. MONTEREY 278 SS 8 m from Length 8 m from Places. Baia 54 17 m from Length 12 m from Places. Numarine 55 17.04 m from Length 12 m from Places. Quicksilver Open 605 6.12 m from Length 7 m from Places. WALKAROUND TF22 - FLOTA PROPIA 7 m from Length 7 m from Places. VANQUISH 16.5 m from Length 10 m from Places.